remotely by users with a web browser. 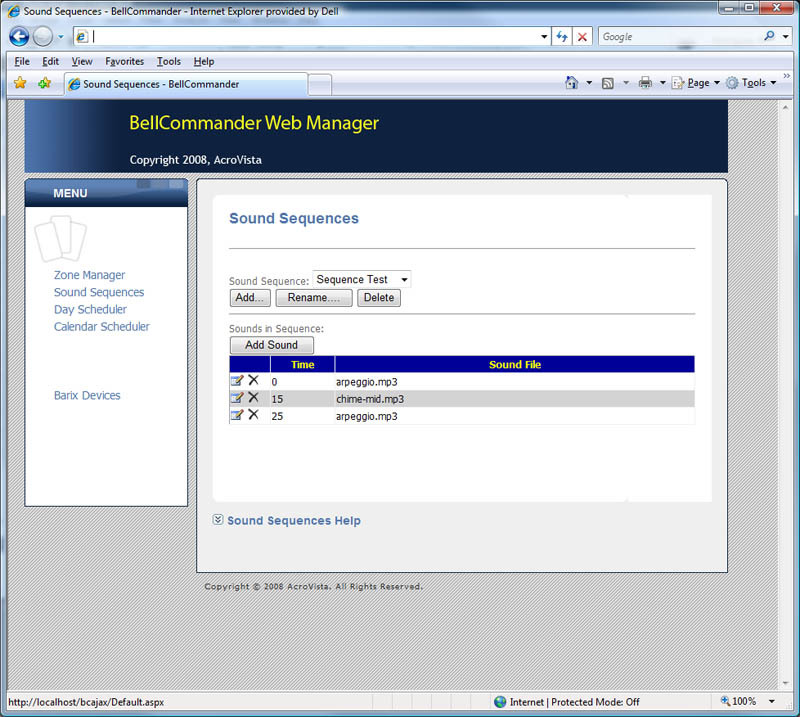 The BellCommander Web Manager is an ASP.NET 3.5 web application that communicates via a service to BellCommander to allow real-time viewing and updating of schedules, zones, and sound sequences. 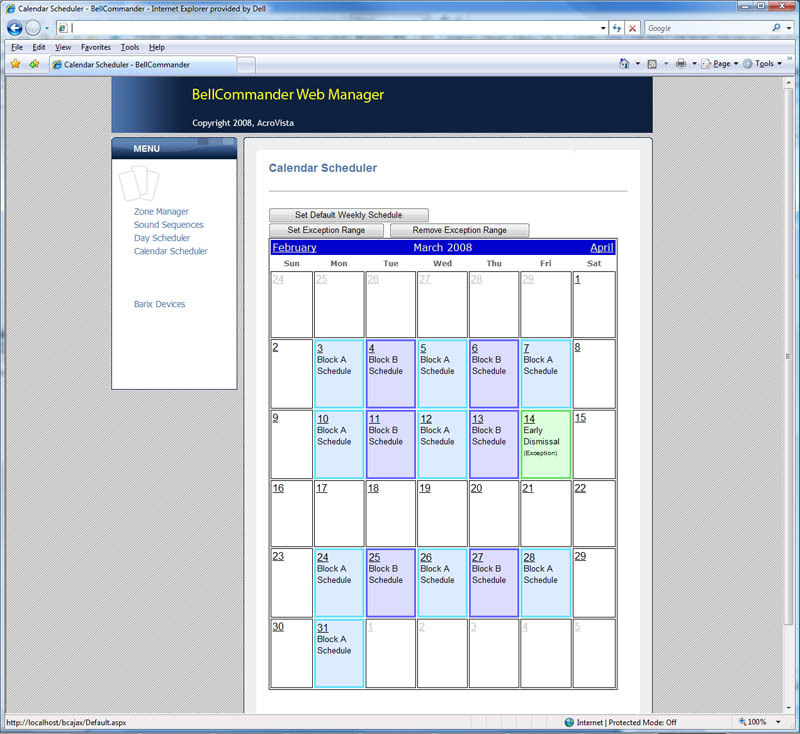 Through the use of AJAX technology, the Web Manager features an easy-to-use interface similar to the desktop application. 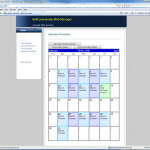 The Web Manager includes built-in password support and authorization can be modified in the application’s web.config. 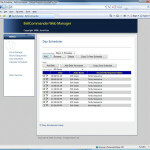 Screen shots of the BellCommander Web Manager are displayed below. We also have an online demo available. If you would like access to the online demo, please contact us. 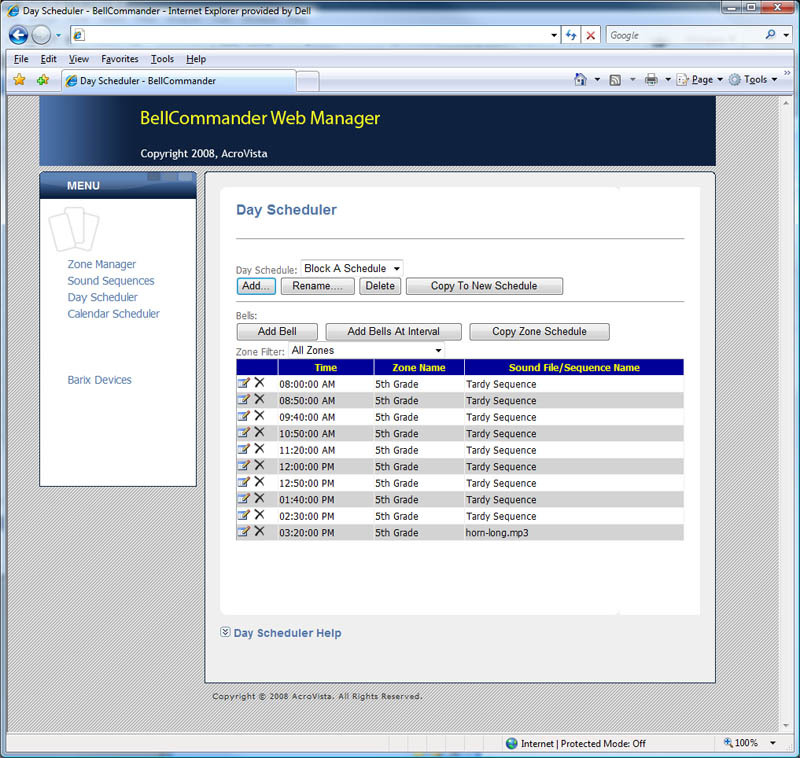 The BellCommander Web Manager is priced as an add-on at $299.95. 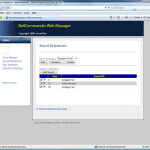 A BellCommander Web Manager license should be purchased for each BellCommander server/site license. Volume discounts are available for multiple license purchases.